Ahlen, March 2015. 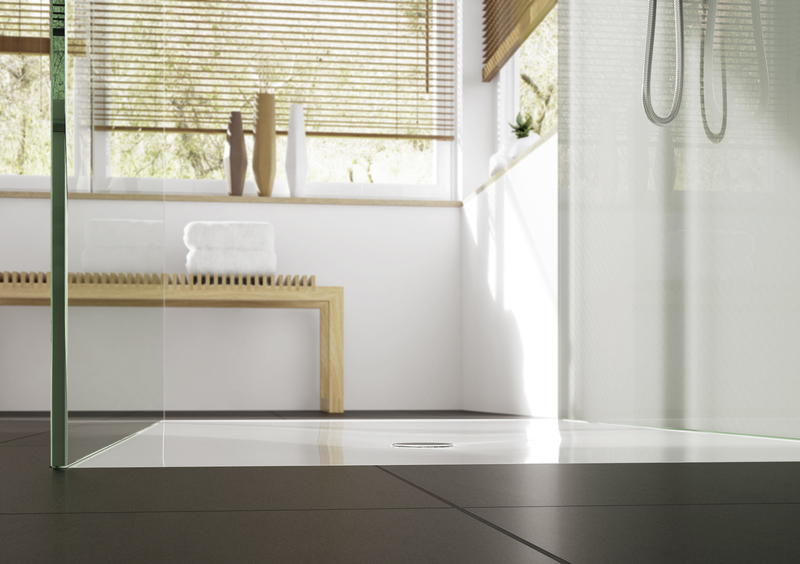 – Kaldewei is the preferred partner when it comes to the flexible, flat and easy installation of floor-level showers. At this year’s ISH the expert in floor-level showers will present its full spectrum of complete systems – with an extra 35 sizes just for the enamelled shower surface Scona. As a further debut, Kaldewei will introduce its new ultra flat waste fitting KA 90 enabling floor-flush installation of the shower with a fitting height of only 60mm. Kaldewei as a result provides striking evidence that enamelled shower surfaces can be installed flatter still than the familiar channel or point drainage systems used for tiled shower areas. With a choice of ten product series, 57 different sizes and well over 50,000 models, Kaldewei is the ideal partner for floor-level showering. 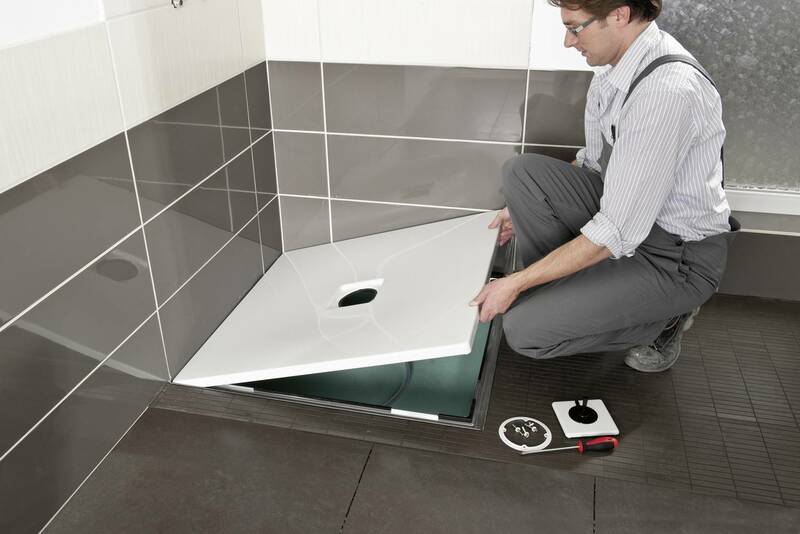 The enamelled shower surface Scona, for instance, ensures flexible shower solutions for different spatial requirements both in renovations and new buildings. Featuring a modern design with superior material quality, the enamelled shower surface offers a highly attractive price to performance ratio. At the ISH 2015 Kaldewei will launch 35 new sizes to extend its successful Scona range. Versatility is one of the unique advantages that distinguishes floor-level shower surfaces made of Kaldewei steel enamel. Their main distinction, especially against shower channels and tiles, is a superbly flush fit. Offering the new waste fitting KA 90, Kaldewei now enables exceptionally flat installation of floor-level showers for a total height of just 60mm – an asset especially in renovations. Available in four different versions and universally matching all enamelled shower surfaces with 90-series fitting, such as the Scona, Superplan or Superplan XXL by Kaldewei, the KA 90 is suitable for use in any installation situation. Thanks to perfectly matched complete systems by Kaldewei, floor-level enamelled shower surfaces can now be installed in only a few steps. The Kaldewei system solutions comprising shower surface, installation system and waste fitting offer a high level of stability, withstand even heavy use and guarantee full protection from damage due to moisture penetration with full sound insulation. A large selection of sizes, minimal heights and the quick and easy installation make Kaldewei the ideal partner for floor-level showers. Flexible: Offering more than 50,000 model versions, Kaldewei ensures maximum flexibility for individual bathroom design. 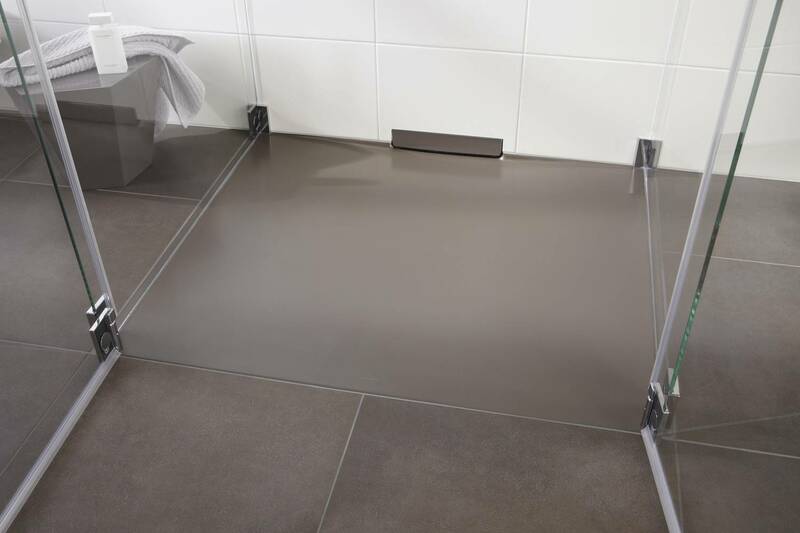 Floor-level shower surfaces made of Kaldewei steel enamel are available in 57 sizes with a wide range of designs and colours as well as convenient extras. Shown here: Kaldewei Xetis in Maple Brown matt. Flat: The new installation systems ensure an exceptionally flat fit of Kaldewei shower surfaces. 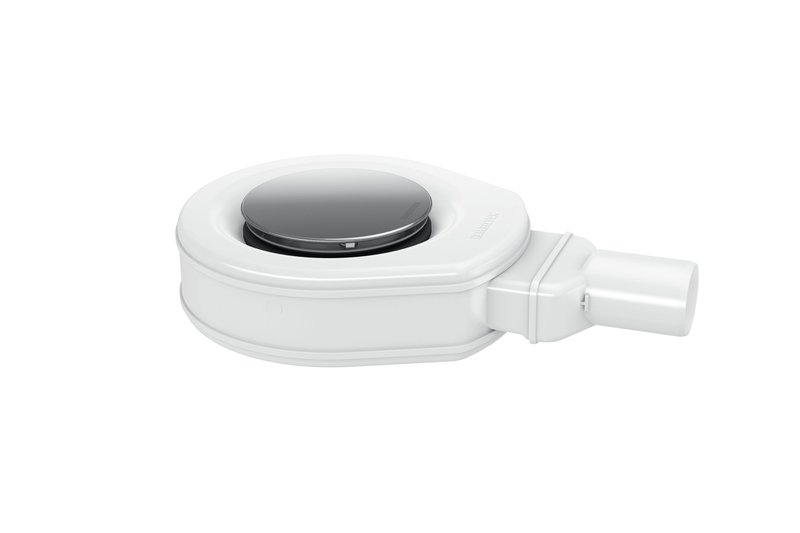 At the ISH 2015 Kaldewei will present 35 new sizes of its enamelled shower surface Scona alongside the new waste fitting KA 90. The new waste fitting KA 90 helps to achieve a total height of just 60mm. Easy: With easy-to-install system solutions, floor-level shower surfaces made of Kaldewei steel enamel can now be fitted in only a few steps.